From ever-changing guidelines and recommendations to evolving technology, getting a show running and keeping it up-to-date can take a lot of work and know-how, even for experienced podcasters. We want to help! As leaders in the podcasting community – and podcasters ourselves! 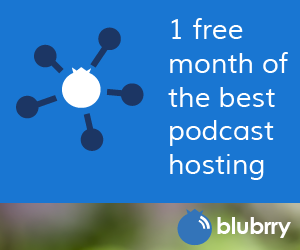 – the team at Blubrry is dedicated to making the technology of podcasting simple so that podcasters can do what they’re good at: create great content and connect with audiences. That’s why we’ve created a FREE guide that will make sense of all those challenges podcasters face. From setting up your RSS feed to creating iTunes cover art to making sense of stats and more, we’ll be there to guide you every step of the way. Ready to start? Just fill out our quick signup form and you’ll start receiving helpful, exclusive emails weekly that will help you get started podcasting, step-by-step…or, if you’re already a podcaster, help you take your show to the next level. We’ll never sell or share your email, and we’re just as allergic to spam as you are. No tricks or hard sales tactics: just helpful content to help you up your podcasting game.